Here is our suggested list of the nicest Tel Aviv hostels. In fact, many of the private rooms you can find in a hostel are a much better choice than a standard room at a 3 star hotel! And you get the great social atmsophere of hostels which can be a huge advantage. For advice on choosing your hostel, click on 4 tips for choosing budget lodging in Tel Aviv. 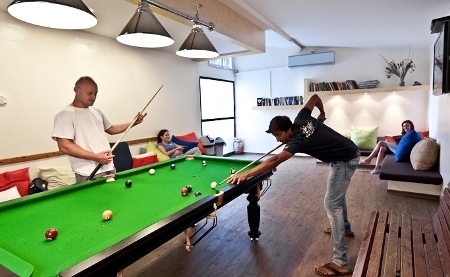 Hayarkon 48 is definitely one of the best of Tel Aviv hostels. It’s clean and with a fun atmosphere. The hostel layout is great for meeting people and just chilling, with comfortable indoor and rooftop lounge areas and a pool. Even though most visitors to Hayarkon 48 Hostel are in their twenties, families and senior citizens are welcome and have enjoyed their stay here. The hostel is a two minute walk from the Tel Aviv beach, minutes from Nahalat Binyamin and the Carmel Market and a 20 minute walk from old Jaffa. Hayarkon 48 Hostel offers a mix of dormitories and private rooms with and without private baths and showers. 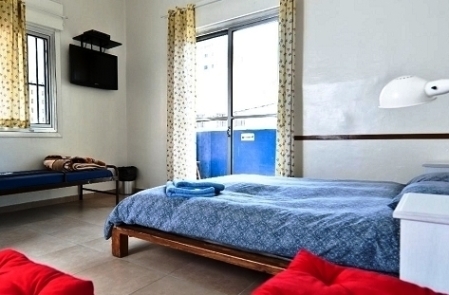 The rooms have comfortable beds and linen, clean bathrooms and well-maintained air-conditioners. Dorm beds go for about $60, depending on the season. During peak season, the kitchen and eating area can get over-crowded. Don’t lose your patience and do let the hostel management know about the problem. They will help you find a solution. And if you’re sensitive to noise, ask for a room in the back away from the street or bring ear plugs (the hostel offers them). Located in a renovated Turkish building with high ceilings, balconies and vintage furniture, the Old Jaffa Hostel is by far the most charming hostel in Tel Aviv! A large rooftop terrace overlooks the sea. 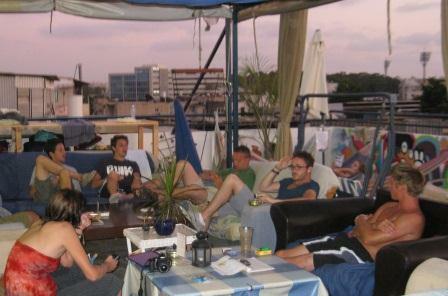 As in most Tel Aviv hostels, you can easily meet and socialize with other travelers. There are private rooms with and without air conditioning and a dormitory. During the summer, you can get the cheapest accommodation in Tel Aviv - you can sleep on a mattress with linen on the roof for about $16 a night! The hostel is located near the old Jaffa flea market (Shuk Hapishpishim) which has become one of Tel Aviv’s trendier locations, not just for shopping, but for music, bars and restaurants. There are beaches nearby, or you can walk or hop on a bus to the more popular large beaches. Complimentary breakfast is coffee, tea and cookies but there are loads of good quality and cheap eateries in the Jaffa Flea market area. Don’t be put off by the shabby exterior of Florentine Hostel! 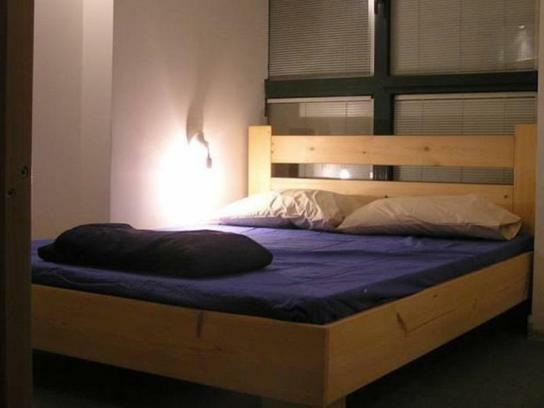 Once you step inside, the hostel is clean, well-kept and has a fantastic social atmosphere. The hostel is for young and friendly backpackers only - they (unfortunately) only accept guests between the ages of 18 and 40. This small and cozy hostel has private rooms or a dorm with bunk beds, a common kitchen, air-conditioned living room and a fun rooftop lounge with sofas and hammocks. Dorm beds run between $40 - $50. You can get a hammock for about $30 (including breakfast). You’ll probably spend most of your free time on the roof drinking a coffee or beer and meeting fellow travelers. 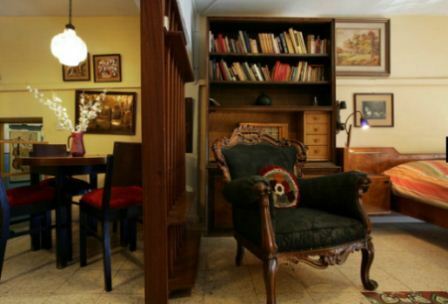 Florentine Hostel is located in Florentine, a hip Tel Aviv-Yafo neighborhood in transition where many young artists and students live in between warehouses and upholstery shops. The area includes some Tel Aviv’s trendiest bars and restaurants. You can walk in 10-15 minutes nearly everywhere – Tel Aviv beaches, old Jaffa, the Carmel and Levinsky markets. I have only good things to say about the Little Tel-Aviv Hostel. The hostel is kept quite clean, the atmosphere is pleasant, there are nice common dining and loung rooms with a small outdoor garden, and the staff is really helpful. There are a variety of room options, starting from mixed and female dorm rooms at $25 - $27 a night, and private rooms with a private bathroom can be found for $ 90 - $100 a night, even during peak season. The only possible downside is the location. It is in the commerical heart of Tel Aviv, and there are loads of buses and taxi stops, but its a 30 minute walk to the beach. Or you can rent a Tel Aviv bike share, and get there in 10 - 15 minutes. Milk and Honey is close to the Jaffa Flea Market which is a very hip location in South Tel Aviv. Guests tend to rave about this hostel. The atmosphere is extremely cosy, super-friendly and quieter than many other hostels. Since its small, guests tend too mingle and hang out together quite a bit. 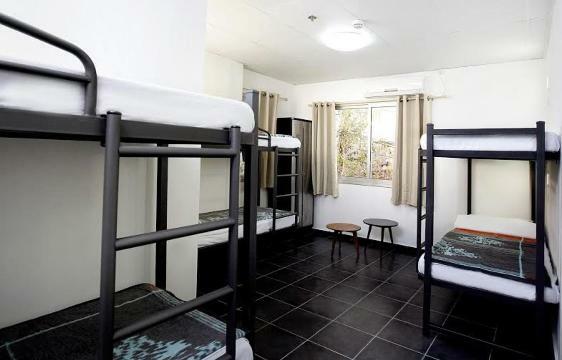 Dorm beds range from $30 - $40 a night.